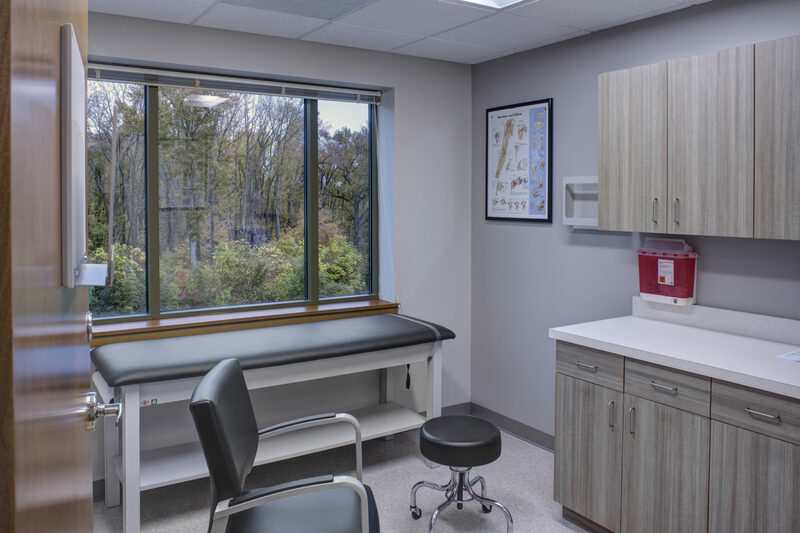 Colimore Architects, as part of the design build team with Obrecht Properties, developed the program and interior design for the 7,857 SF medical offices at The University of Maryland St. Joseph Medical Center located in Rosedale, Maryland. 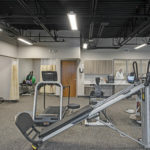 The entire project included three separate offices including Towson Orthopedics Associates, Towson Sports Medicine and a Cardiologist office. 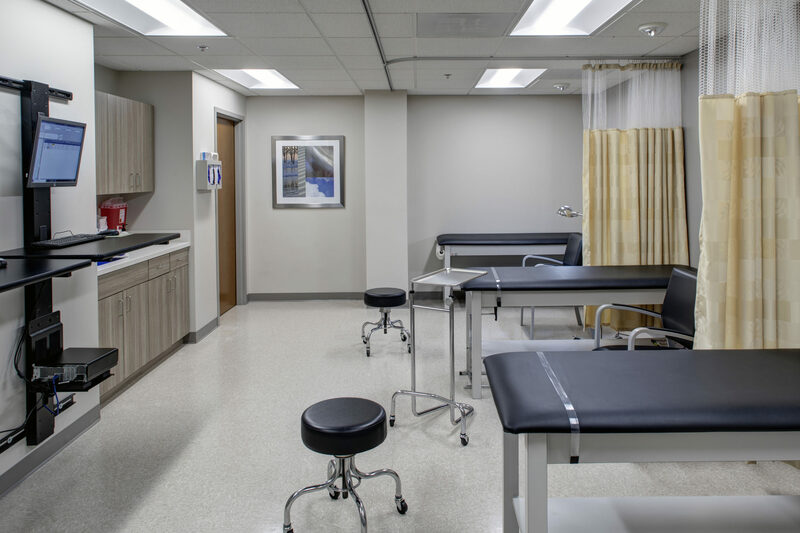 Each design catered to the specific needs of the patients and facility. 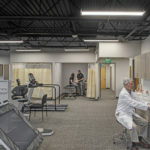 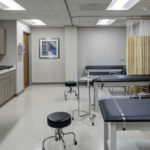 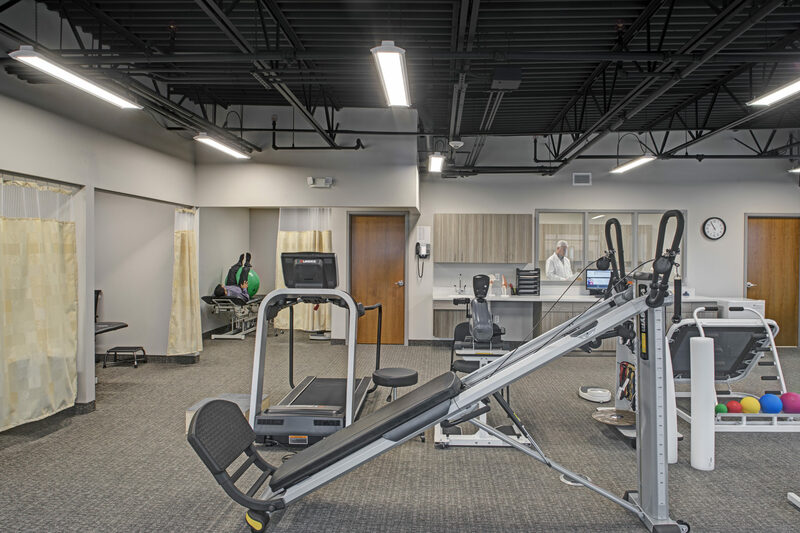 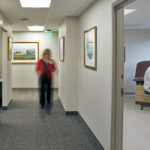 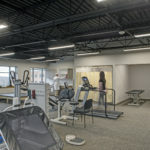 Towson Orthopedics (3,626 SF) and Towson Sports Medicine (2,596) are physically connected providing direct access between offices for both doctors and patients. 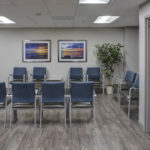 The clinical and therapy spaces maintain separate entrances, administrative areas, waiting rooms and a shared kitchen/break area for employees. 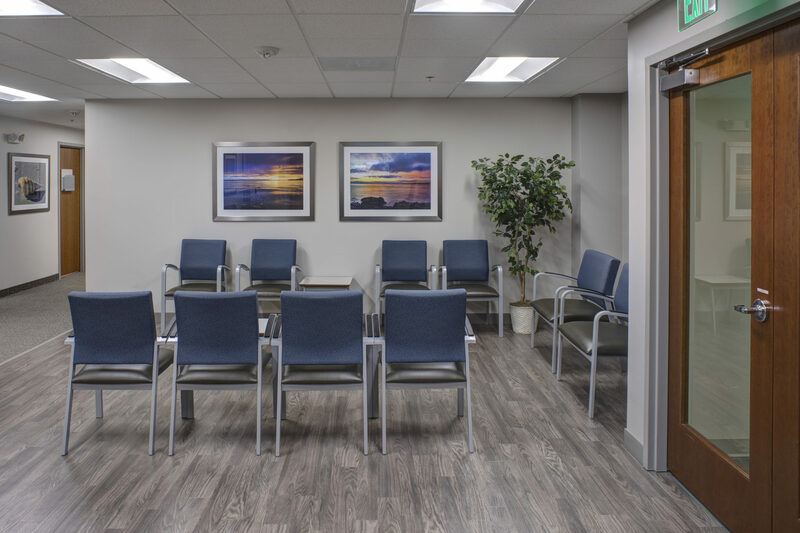 As you enter either space you are greeted with a bright welcoming waiting room. 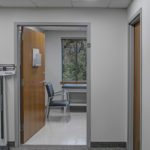 The design for Towson Orthopedics provides unique private touch down spaces strategically located between exam rooms for three different physicians, a separate room for cast application and an X-Ray room. 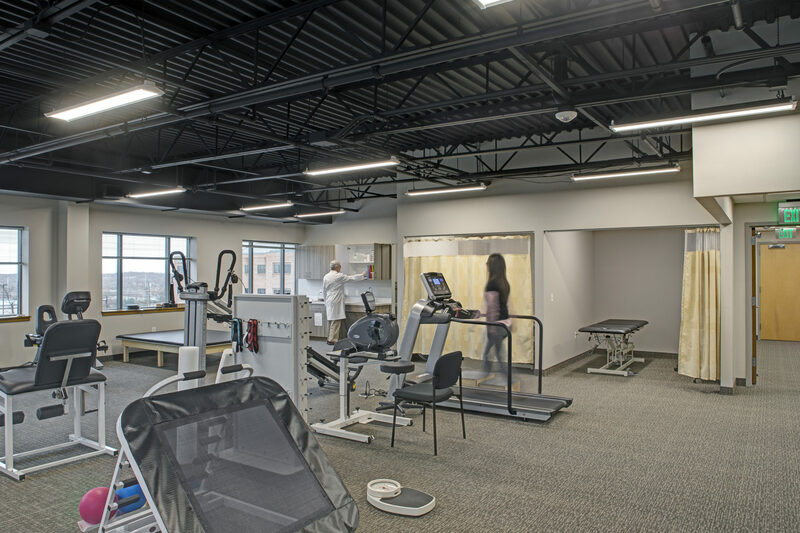 Towson Sports Medicine therapy gym was design with an exposed structure providing visual volume and height to the large room. 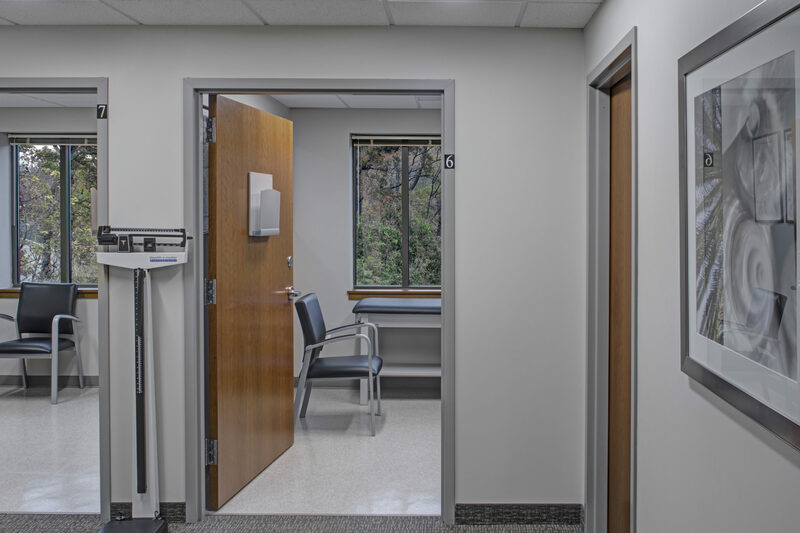 The perimeter of the room consists of large windows, allowing beams of natural light to filter in, private exam rooms and spacious touch down spaces for the occupying physicians. 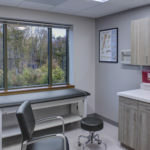 The cardiologist office (1,635 SF) includes private exam rooms, office space for two physicians, a break room and waiting room. 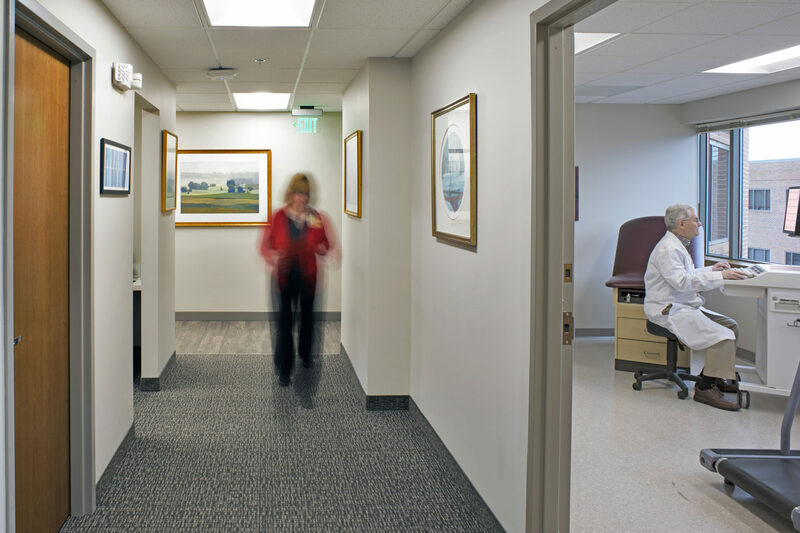 All three offices were carefully designed, within the constraints of the existing structure, to utilize the space efficiently while providing a comfortable environment for the patients to heal.